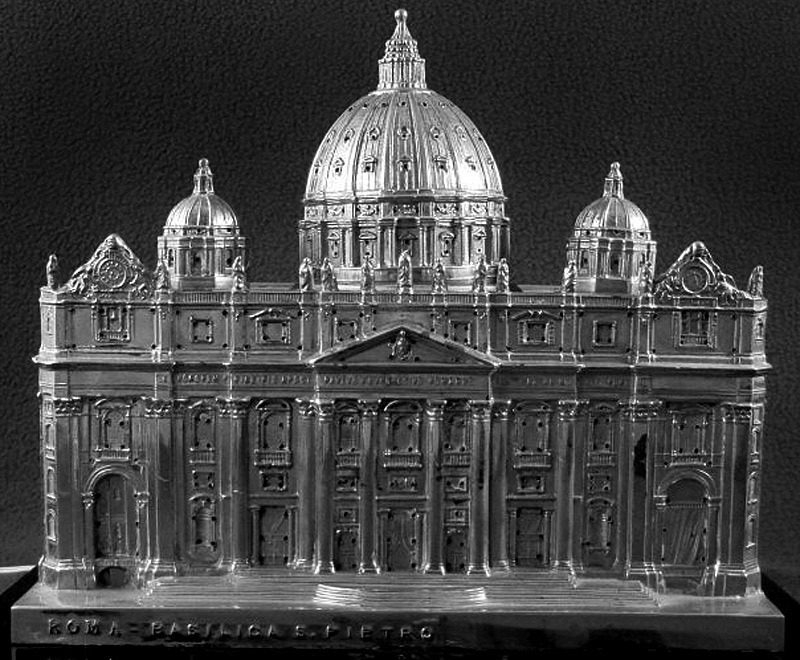 With the election of a new Catholic Pope, the Vatican and St. Peter's Basilica have been in the news a great deal. 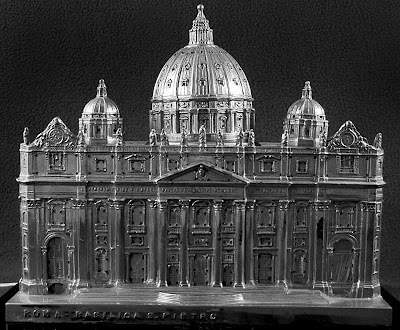 Miniature replicas of the church have been made over the years for a constant-flow of tourists. 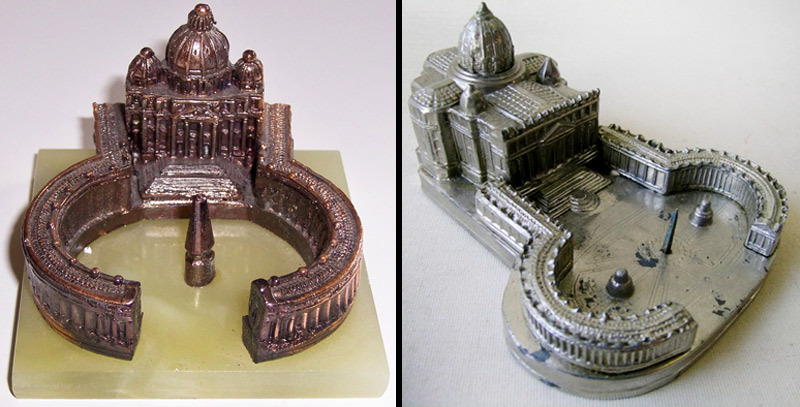 From very large to small and created in various materials, souvenir buildings of St. Peter's Basilica have always been popular. 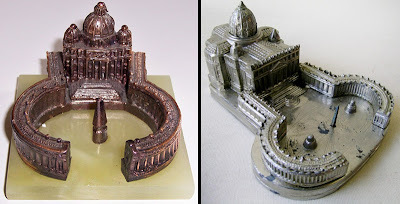 Some replicas depict solely the basilica, while others include Gian Lorenzo Bernini’s full Tuscan colonnades of St. Peter’s Square and the four-thousand-year-old Egyptian obelisk in the center. Bernini’s Colonnade design are four-columns deep, which are meant to embrace visitors in "the maternal arms of Mother Church."